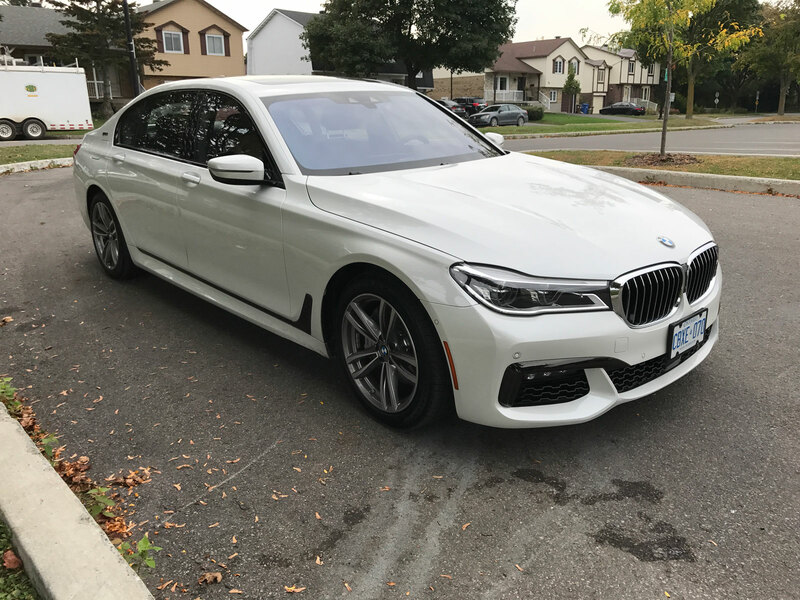 If you’re considering the BMW 7 Series as your next purchase, you’ve likely reached the pinnacle of your career, having amassed enough wealth to drop over 100 large on luxury transportation. 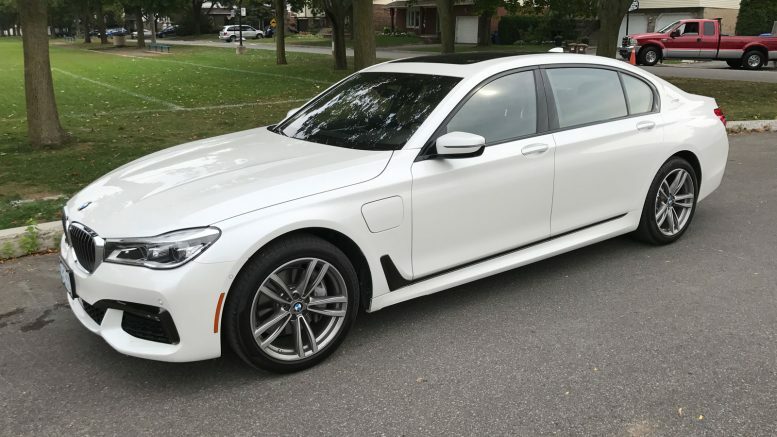 In fact you’re probably considering the 7 Series because you have a driver and are not even going to pilot this limousine yourself. 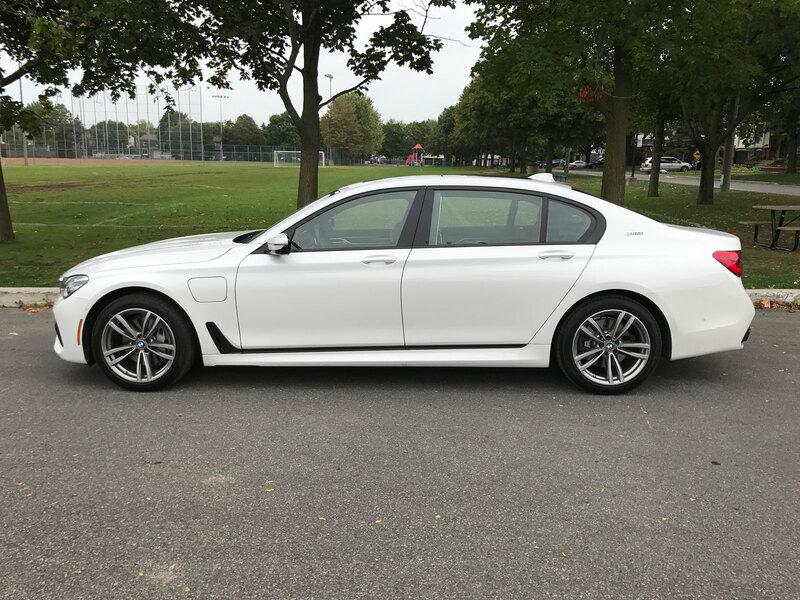 That’s what the 7 Series with the extended wheelbase is – a limousine. 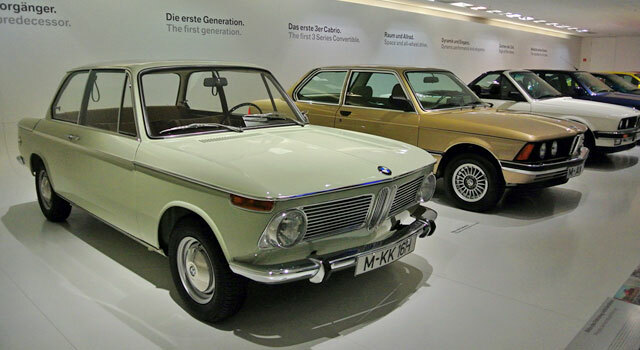 BMW has pulled out all the stops on its flagship sedan with the very latest in technology and comfort. 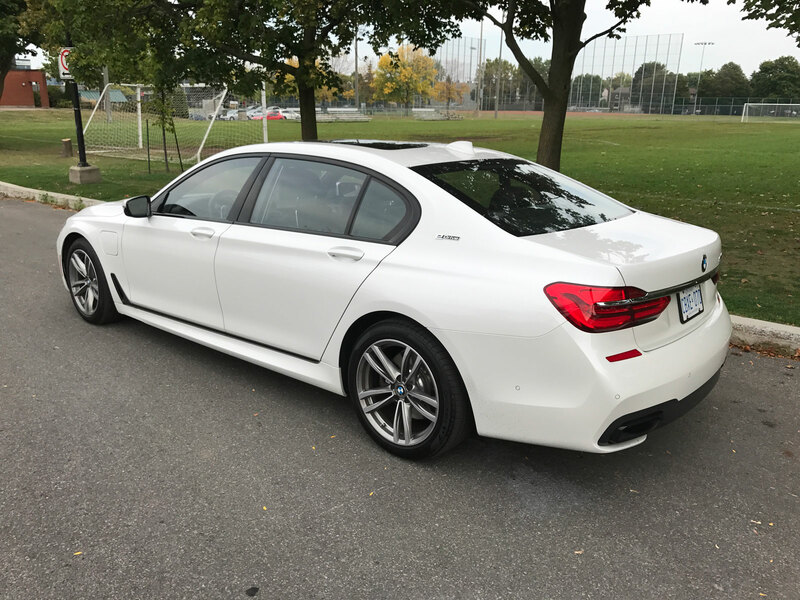 Measuring a whopping 525 cm (206.7 in) in length and 112 cm (44 in) in width, the long wheelbase extends the overall length by 6 inches allowing for swaths of legroom in the rear seats. They’ve opted to make this a four seater and give the occupants one heck of an experience in doing so. 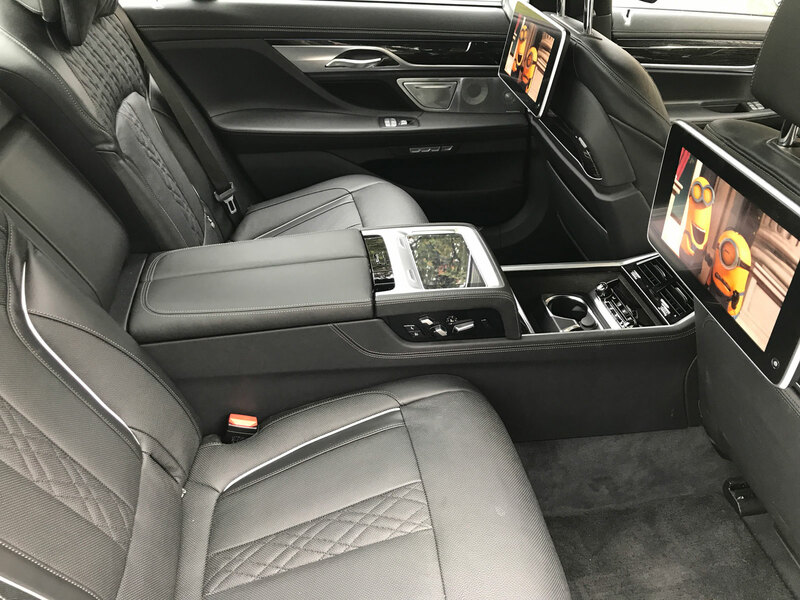 The main attraction is the Executive Lounge for the person sitting in the rear passenger side seat. The seat and headrest can be adjusted or reclined in numerous ways to find that optimal position. 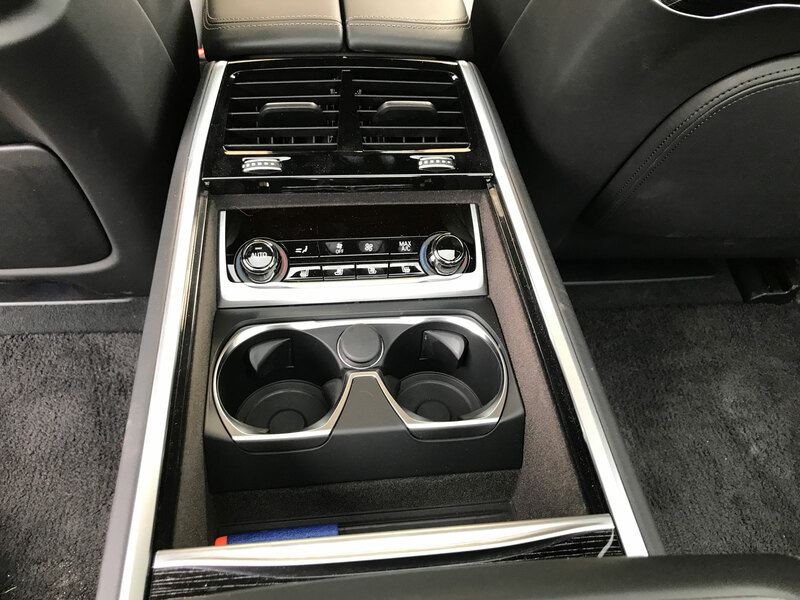 At the touch of a button the front seat will move forward all the way to the dash and fold itself up to give the rear occupant an unobstructed view. You also get a handy footrest that electronically folds down from the rear of contraption. 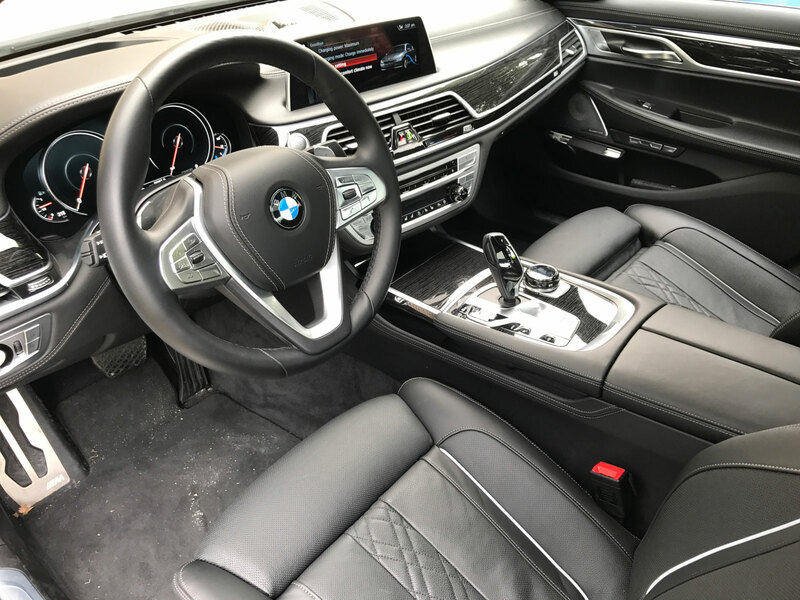 If that wasn’t’ enough, there are eight different massage functions in the backrest to soothe yourself from a day’s work. 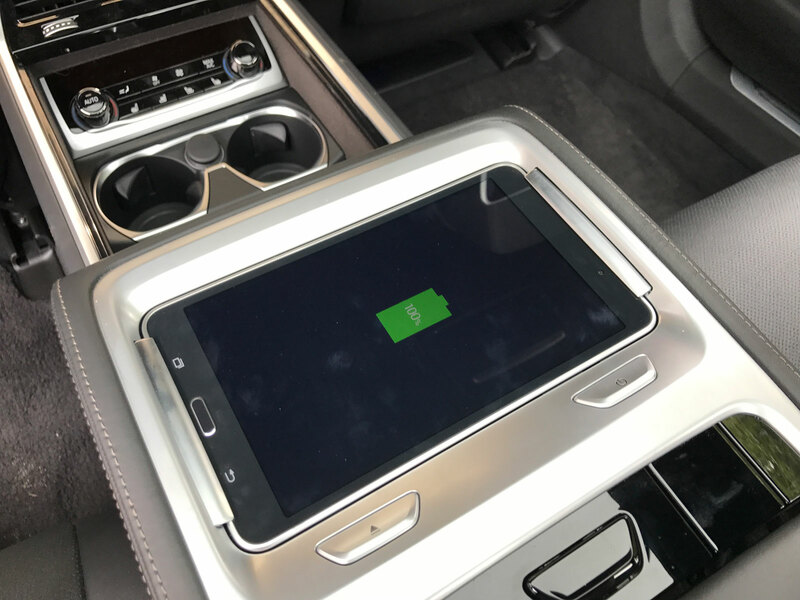 The rear center console contains a tablet for controlling various vehicle functions such as mood lighting, sun shades, sunroof and can even release scented air into the cabin. For work purposes there is a foldout table similar to an aircraft. 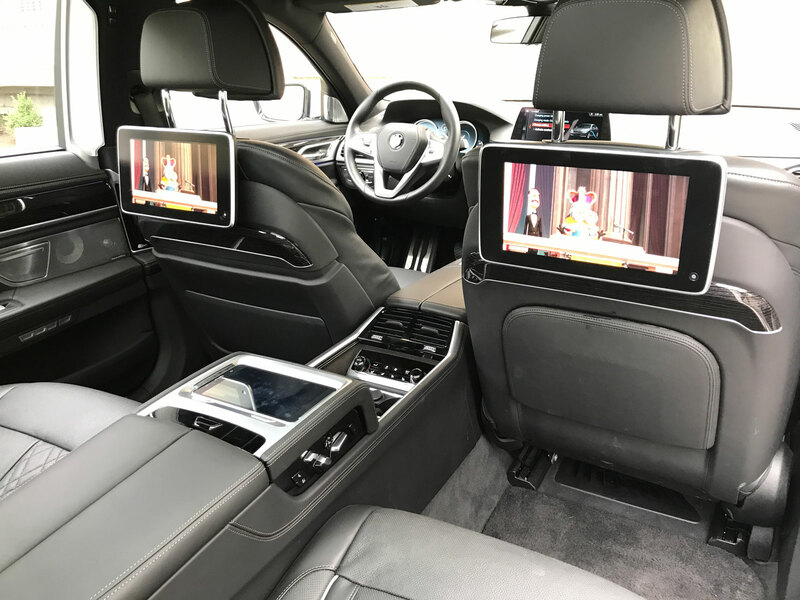 To pass the time on long drives, the rear entertainment system features two LCD screens controlled via the tablet. 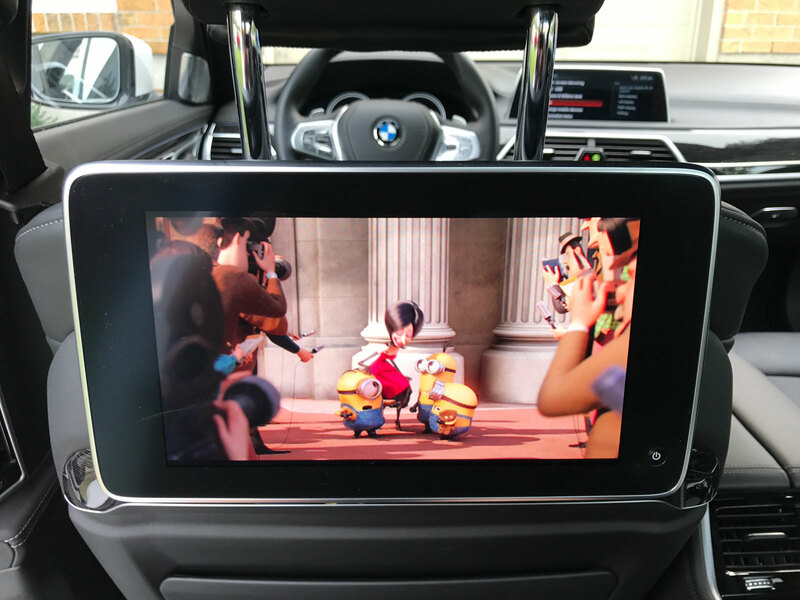 The entertainment system is a bit complicated and it took a BMW Genius and myself 10 minutes to fully figure out how to get the sound from the rear movie to play on the speakers but we did it. 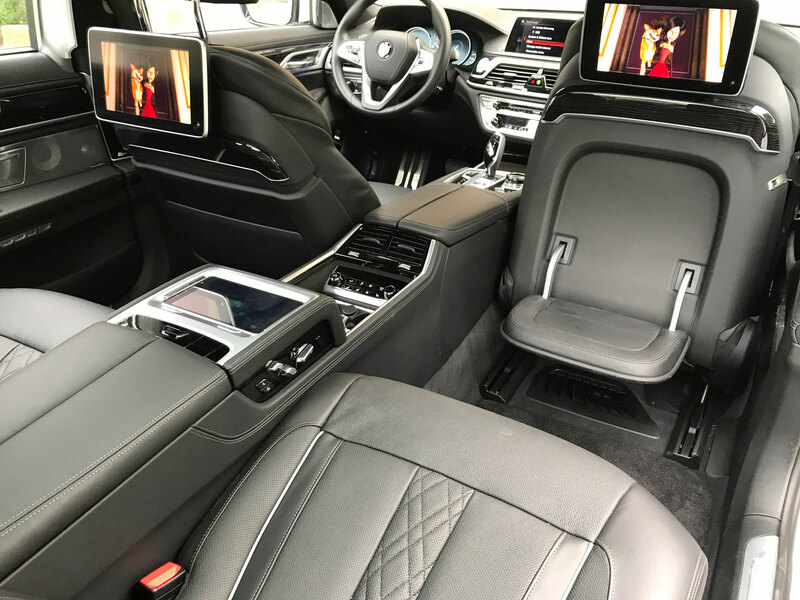 As I said before, if you’re considering the 7 Series for its executive lounge you’ll probably be spending more time as a passenger rather than behind the wheel. 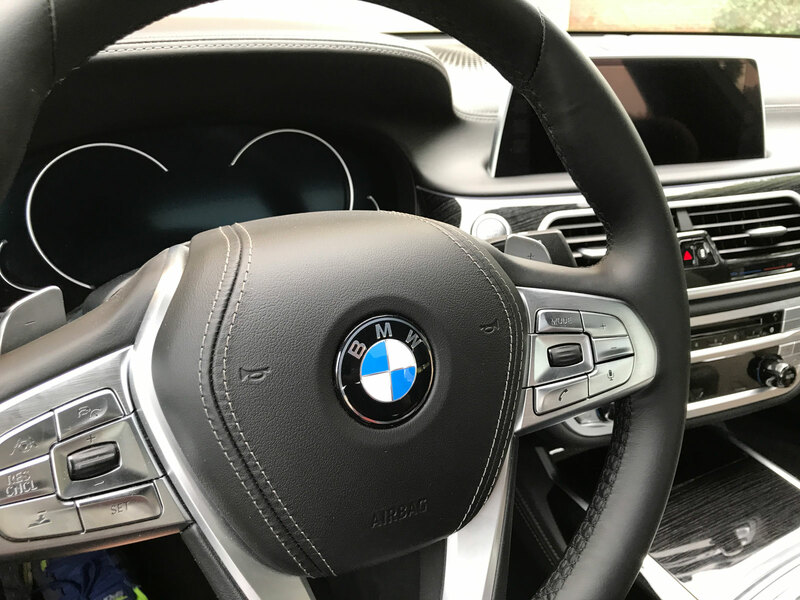 Should you decide to venture out solo, the vehicle still provides a luxurious and enticing experience behind the wheel. 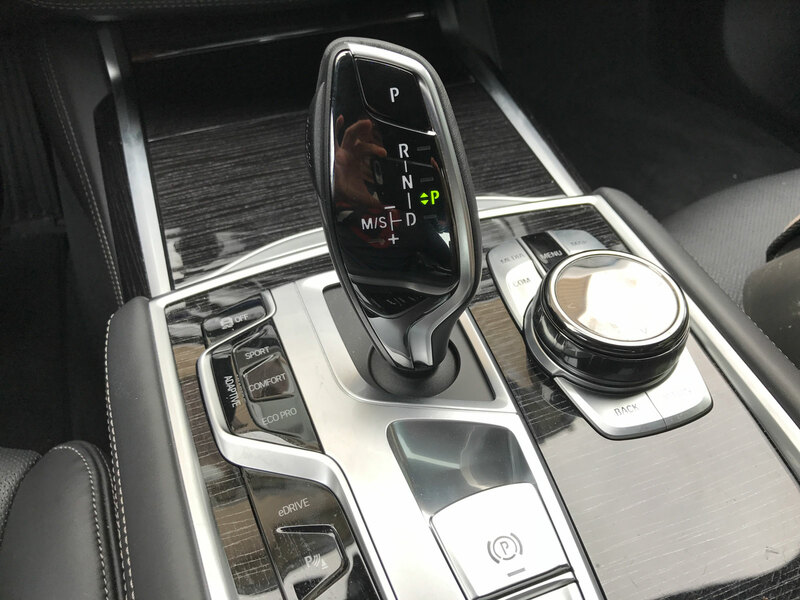 The 740Le plugin electric hybrid has the advantage of instantaneous throttle response and torque from the electric drive. 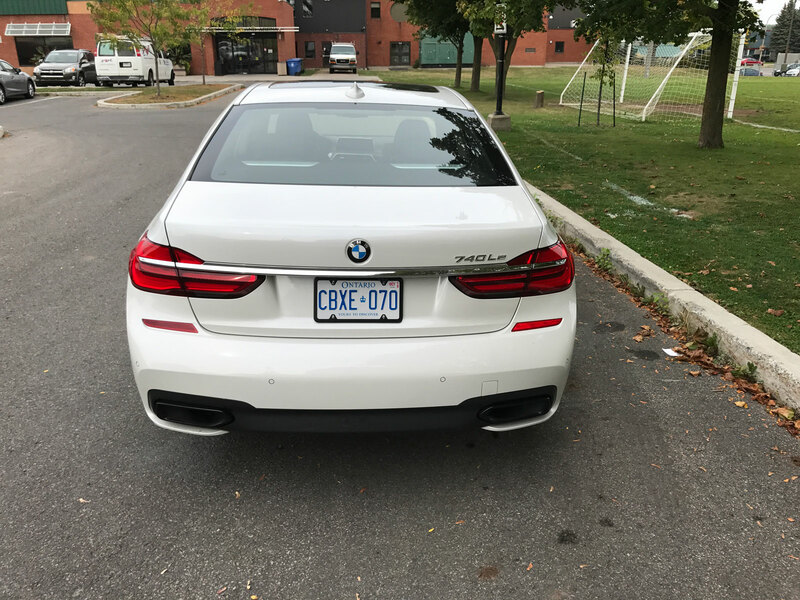 In electric-only mode BMW says you should be able to do up to 40 kilometers however my real world range was often half that amount. E-drive automatically turns off at speeds of greater than 140km/h. 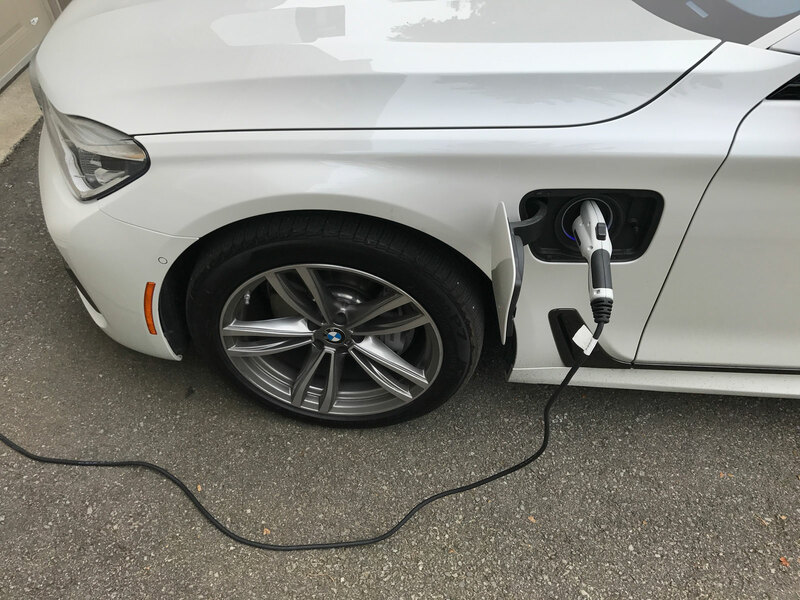 Even when the battery runs out, the vehicle can still maintain some charge through regenerative braking and therefore the instant torque from the electric drive. 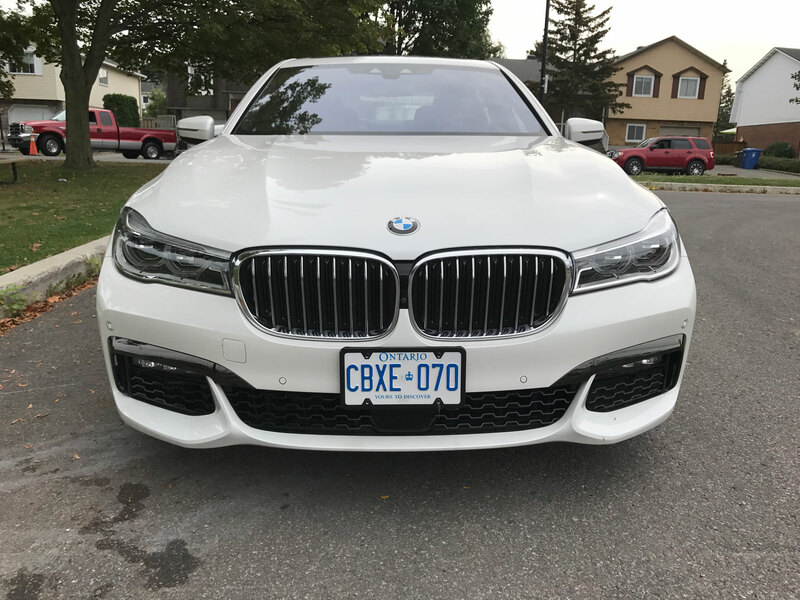 The gasoline engine is a small 2.0-litre turbo four cylinder and in conjunction with the e-drive makes 322 horsepower and 369 lb-ft of torque making this the least powerful 7 Series. Despite those numbers the 740Le still booted it when I needed. I never felt underpowered over the course of my week. I did a fair amount of highway cruising and it’s so easy to forget how fast you’re going because of how smooth and quite the ride is. Thank goodness for the heads up display which can be set to warn you if you exceed a certain speed. The 740Le won’t win any handling awards – nor should it. It’s a boat to drive which was to be expected. 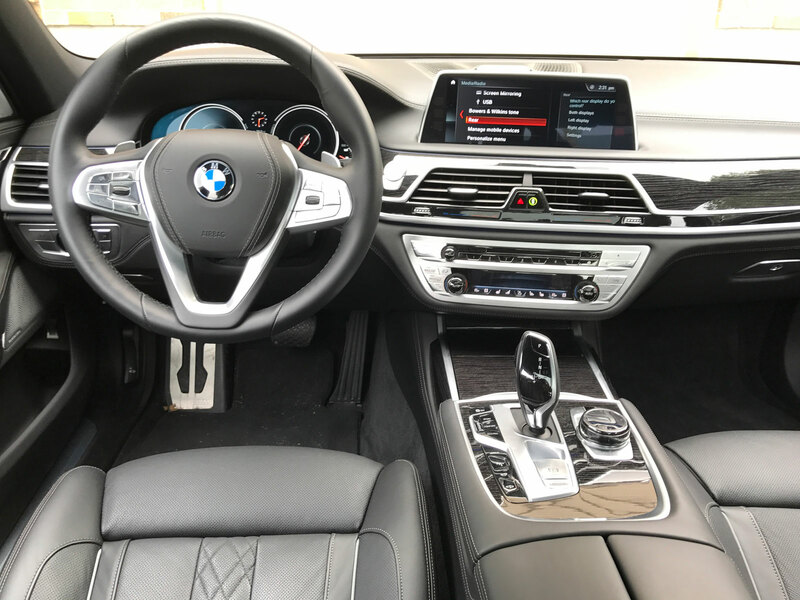 I say this in relative terms because a boat in 2018 is lightyears ahead of how large vehicles handled from yesteryear thanks to new lightweight construction technologies such as carbon-fiber-reinforced plastic in the body structure, the Executive Drive Pro active chassis system, the Driving Experience Control switch with ADAPTIVE mode. Hit Sport mode and the suspension stiffens up for a more nimble feel. 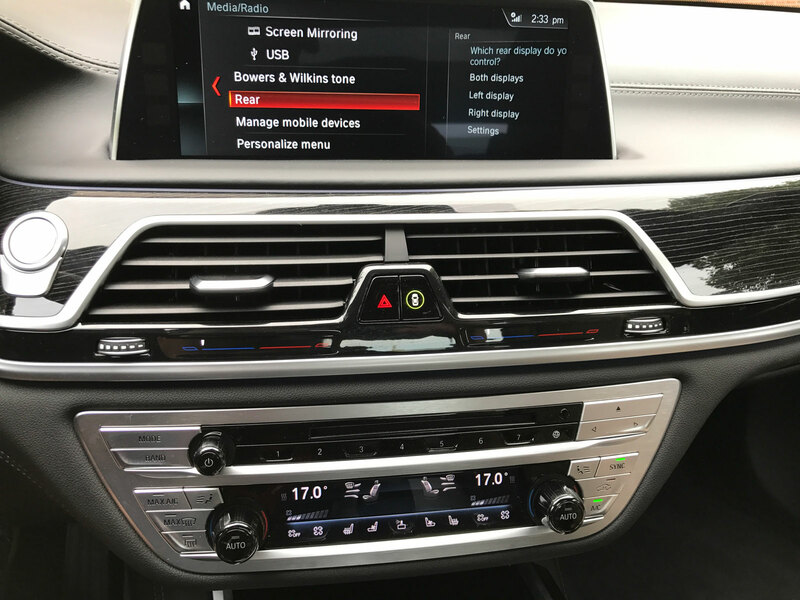 There are also three different e-drive modes to choose from. The default is Auto eDrive setting where both engine and electric motor work efficiently in tandem. Then there is all electric which propels the vehicle on electric power alone up to about 120 km/h. The third mode is interesting and it’s called Save Battery. Let’s say you have a long drive ahead of you into the city and want to be able to cruise on eDrive when you get there. This mode will save the energy reserves for a later time so you can do just that. I suppose another name for this mode could be gasoline mode. 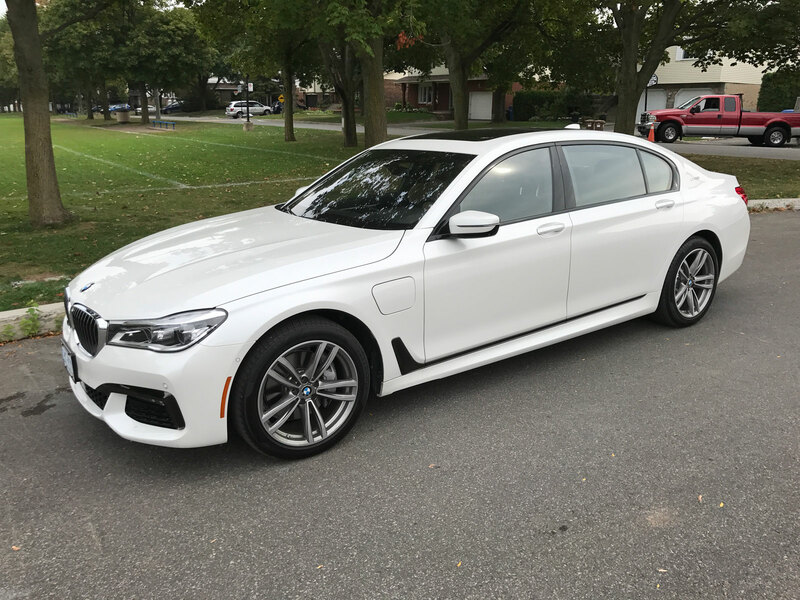 The 2018 BMW 740Le starts at $110,400 but this one was optioned out to the teeth and came in with an MSRP of $146,400 not including freight and PDI. 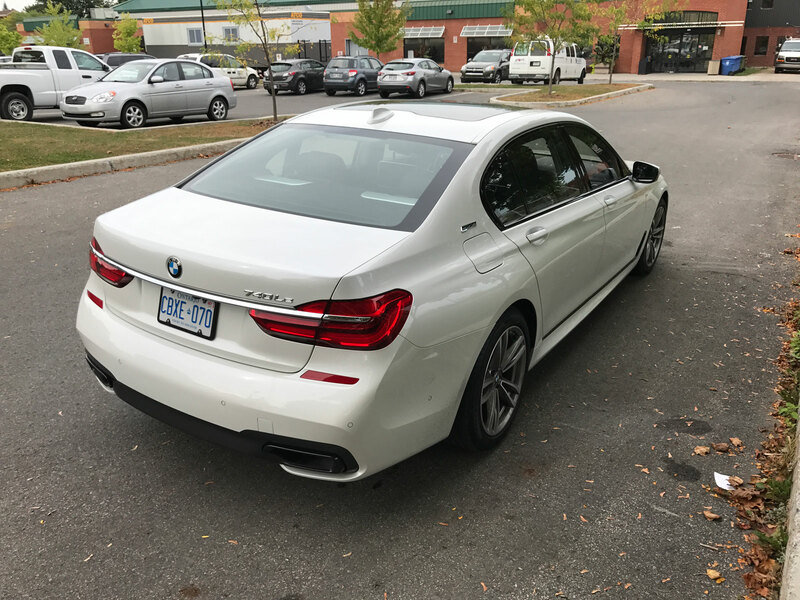 Competitors to the 7 Series are the Mercedes-Benz S-Class and Audi A8.